On behalf of admin of JML Law, A Professional Law Corporation posted in Pedestrian Accident on Saturday, Jul 14 2018. When a car hits you as a pedestrian, it comes as a complete shock. You could’ve been there minding your own business when a car runs into you. It’s extremely scary. The whole situation is dangerous. Your first instinct may be to sue the driver who hit you. What could go wrong with that? Depending upon the circumstances, you may also be able to sue the local municipality. An example of this would be if you were on on road with no sidewalks and a driver hit you. It’s important to know situations where you can make a claim against the driver and situations where you may make a claim against the local municipality as well. It’s also important to know the drivers duty of care. In these types of accidents, the driver is typically at fault. They have the legal obligation to identify hazards and to avoid them. However, the driver may not always be at fault. For example, if you jaywalked in a street and a car hit you, then you may lose the claim against the driver because it was your fault. If you were in a crosswalk then it’s more likely that you will win the case and driver will lose the case. In some situations, you may also be able to bring a lawsuit on the local municipality in which you were hit. For example, a traffic light is broken and your pedestrian sign says go and the oncoming traffic also gets a green light. If you were unaware that you both had the green light, then you may be able to sue the local municipality. However, if you did notice and crossed anyway, you won’t have a claim. Another example where you may sue the local municipality is if you used a crosswalk but it was in a bad place, a busy street with no forewarning to the driver. When drivers get their licenses, they are agreeing to using a certain duty of care when dealing with anyone they may encounter on the road, including other cars and pedestrians. If the driver failed to use reasonable care, then it is seen as negligent and the other party may have a grounds to sue. There are several common factors which contributes to driver negligence. One of the most obvious is speeding. Another factor may be failing to use a signal. 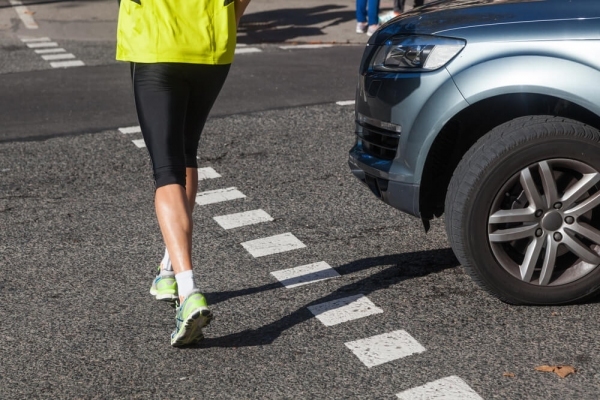 For example, if a car was making a turn but didn’t have their signal on and a pedestrian crossed in front of them and got hit, then it is the fault of the driver for not exercising proper duty of care. Another factor that may contribute to negligence is distracted driving. For example, if a driver is texting while driving, they do not have their full attention on the road and they may cause injury to themselves or others. Getting hit by a car is a serious matter. It happens randomly and it’s often not even your fault. You shouldn’t have to pay for a driver acting out of their duty of care or acting negligently. You need someone who will listen and fight for you. You need someone with years of experience. JML Law, A Professional Law Corporation, has helped people like you get the proper compensation for over 40 years. Call our Pedestrian accident attorney today for a free consultation at 818-610-8800 or simply use this contact form.